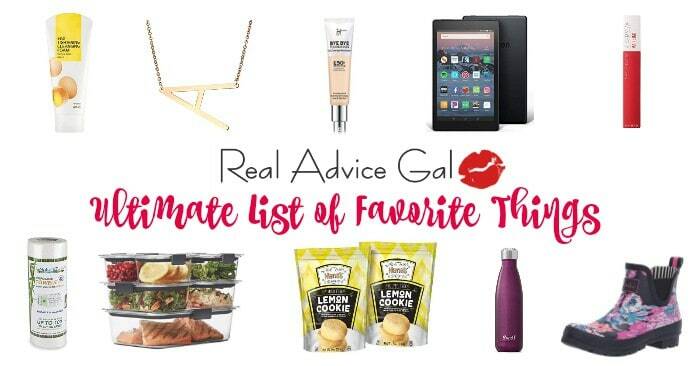 Disclaimer: This is a sponsored conversation written by me on behalf of Pinnacle Foods Group LLC. The opinions and texts are all mine. Are you ready for a revolution in your meal planning? We all want to eat healthy. I know that has been one of my goals, and I am doing better. The other goal I had is to change up what I feed my family. I love trying new recipes, but I hate when they do not work out. The place that I haven’t done much recipe creation in is sides. I have a solution for that and a solution for how to add more vegetables to our meals. The three reasons I hear for people not adding vegetables to their meals are: veggies go bad quickly, I do not know how to cook them, and the third is they are so expensive. Well, let me tell you the new Birds Eye® Protein Blends products at Walmart are the answer to all three of your objections to having tasty vegetables on your table at every meal. 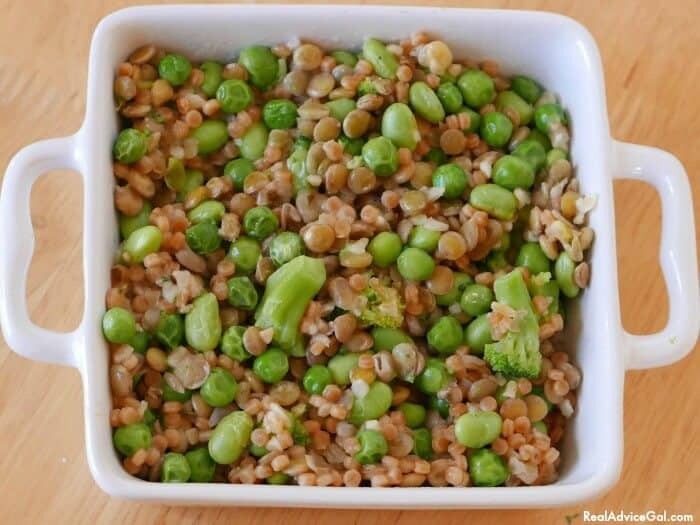 They are your easy vegetable recipe that is readily available in your freezer which allows you to put a side you can be proud of every night on the table. We like these so much we have them for lunch as well. Their Easy Vegetable Recipes include these flavorful options. I am the queen of chicken. I am not sure why I guess because I can throw it in the oven and it basically cooks itself. That is why I really like the easy vegetable dishes to make my dinner special. 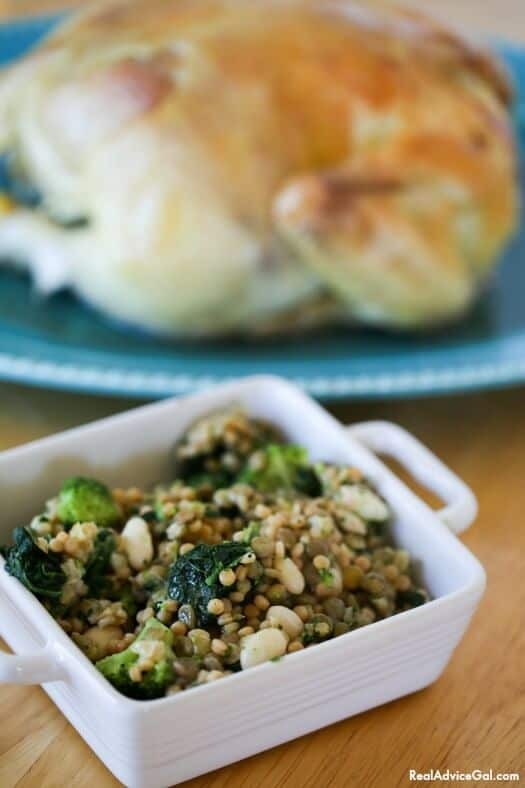 I make a slow cooker chicken as well that taste just like a rotisserie. Then I go ahead and put the Birds Eye® Protein Blends into the microwave for five minutes, and I have a complete meal. I really love that I can put together a meal in minutes with limited dishes and preparation. I love the convenience, taste, ability to add more veggies into my diet. I love that I can pull these out of my freezer anytime and they are a game changer full of flavors that my family loves. 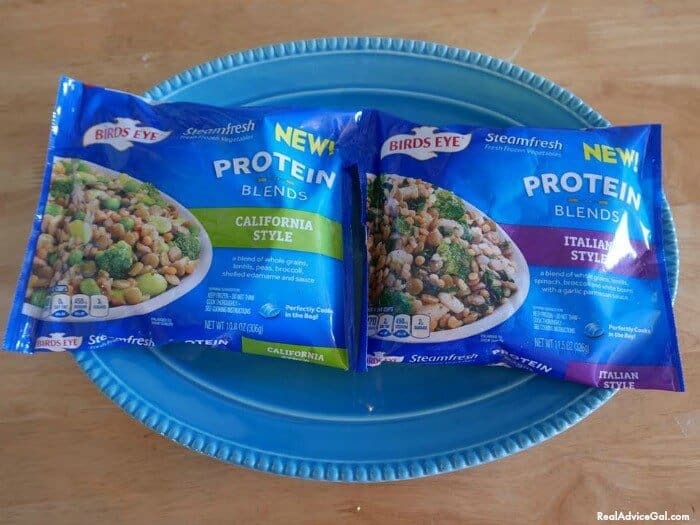 Birds Eye® Protein Blends are So Veggie Good!TM. Oh, How about we save you even more money. There is a $0.50 off coupon available on Ibotta. I also bought Italian Style and I plan to heat them up for my bake potato bar. 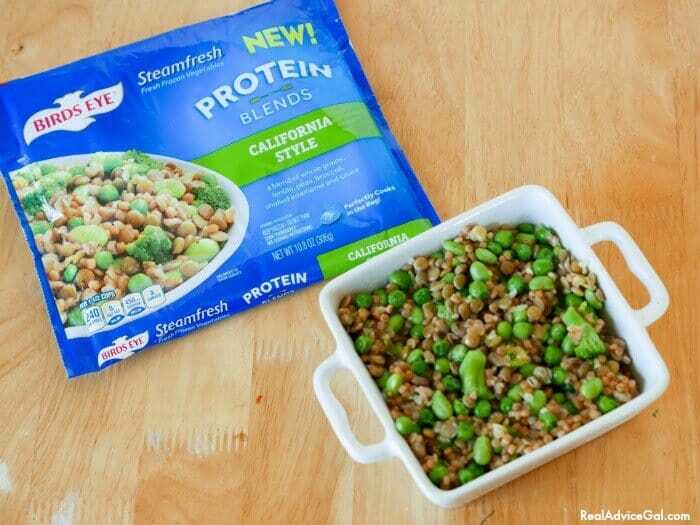 Birds Eye® Protein Blends is a great way to partner vegetables with a quick meal. What is your favorite quick and easy meal? 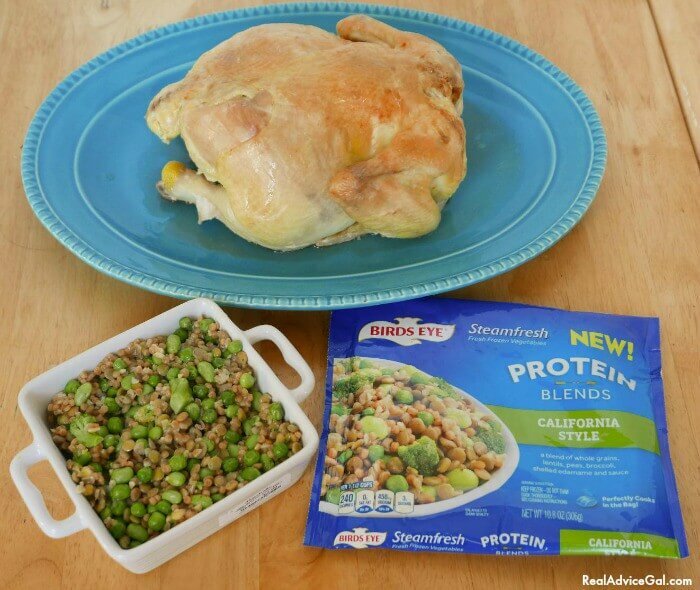 What Birds Eye® Protein Blends would you pair it with? The Southwest Style, California Style, Asian Style or Italian Style.